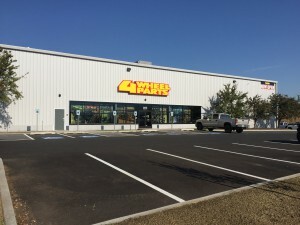 Browsing articles tagged with " bestop"
Compton, California (October 7, 2015) – Transamerican Auto Parts will further its major expansion initiative with the Grand Opening of its Post Falls, Idaho 4 Wheel Parts retail store and adjacent distribution center this Saturday, October 10. The event marks the growing presence of the national truck and Jeep performance product reseller into the Pacific Northwest while providing an increased level of service and delivery to customers in the region. 4 Wheel Parts is pleased to welcome area off-road enthusiasts to the family-friendly event, who will be greeted with installation specials, hourly prize drawings, aftermarket parts giveaways and tours of the newest, state-of-the-art facility. The free event provides enthusiasts a preview of the latest truck and Jeep products from the industry’s leading manufacturers including Smittybilt, Poison Spyder and Bestop. Customers will have the opportunity to engage with the 4 Wheel Parts store’s interactive showroom featuring a comprehensive array of suspension, wheels, tires, lighting products and more. Through the support of state and local leaders, Transamerican Auto Parts’ (TAP) new facilities deliver immediate economic benefits to the region in addition to career-focused automotive industry employment with full benefits promising to contribute substantially to job growth and opportunities in the Coeur d’Alene metropolitan area. The expansion gives TAP enhanced capacity by extending regional reach and supply with increased inventory levels. The 75,000 sq. ft. warehouse distribution center will supply the Pacific Northwest and western Canada and the 10,000 sq. ft. store will meet a growing local demand for off-road performance product sales and installation. This strategic move hastens the company’s growth and ensures a rapid, uninterrupted supply of parts and accessories to 4 Wheel Parts stores. 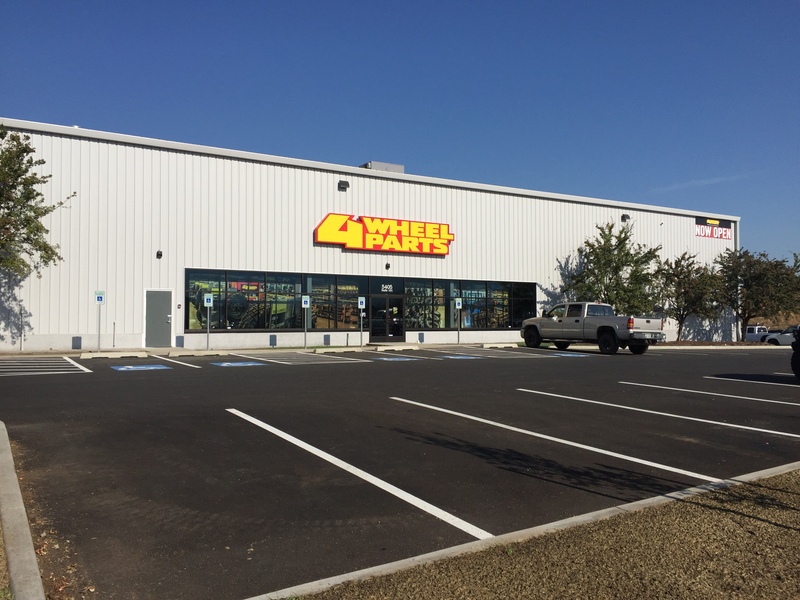 4 Wheel Parts continues to grow its retail operations which recently opened new locations in Little Rock, Arkansas, Baton Rouge, Louisiana, and Langley, British Columbia, to bring the total of stores to 71 across North America. The location of the new facility in Post Falls diversifies TAP’s six distribution centers throughout the country. Transamerican Auto Parts and 4 Wheel Parts retail and wholesale customers across the Pacific Northwest and western Canada will immediately realize the benefits of reduced freight costs, more economic delivery and in many cases next day pick-up of the majority of product segments in retail stores. When: Saturday, October 10 from 9 a.m. – 5 p.m.
4 Wheel Parts is the global leader in truck, Jeep, SUV and off-road performance products. With 71 locations across the U.S. and Canada and growing, 4 Wheel Parts Service Centers install all the products they sell. Maintaining the nation’s largest inventory of off-road tires, wheels, lift kits, and Jeep Wrangler accessories, 4 Wheel Parts serves customers across the country and around the globe. Life is Better Off-Road™. Visit them at 4wheelparts.com or call toll-free 877-474-4821.